Here are the jMonkeyEngine "Hello" programs translated to clojure. Here is the hello world example for jme3 in clojure. It's a more or less direct translation from the java source here. Of note is the fact that since we don't have access to the AssetManager via extending SimpleApplication, we have to build one ourselves. ;; don't show a menu to change options. 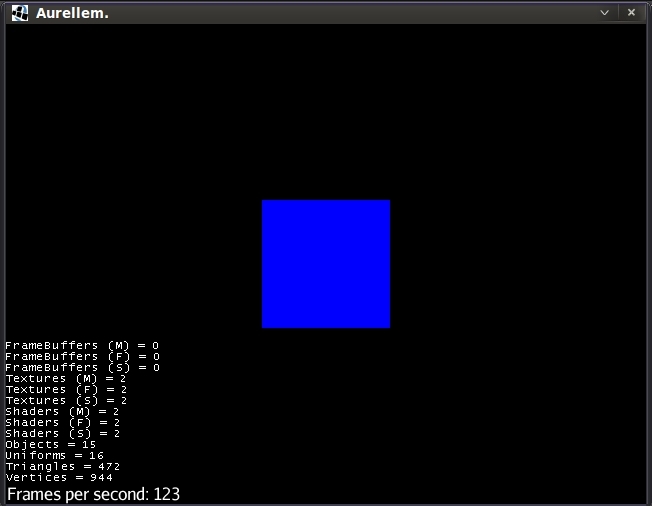 Running this program will begin a new jMonkeyEngine game which displays a single blue cube. Figure 1: the simplest JME game. More information about the jMonkeyEngine3 hello world program can be found here.